Sports are a great way of testing endurance – and that is true of both people and watches. Certina watches have always been up there among the top athletes. The characteristic sporting spirit pervades all aspects of the timepieces, from design to technology and brand philosophy. Certina’s commitment to sport can be seen in more than just the outward appearance of its watches. It is also expressed in the brand's dynamism, progress, reliability and top performance. In order to ensure that all Certina timepieces meet these high demands, they must adhere to strict quality criteria. These are found in the uncompromisingly robust DS or “Double Security” Concept, which was first introduced by the brand in 1959. These comprehensive protective features are built into each of Certina’s watches, irrespective of the collection, giving all of the models the brand's characteristic stability and reliability. 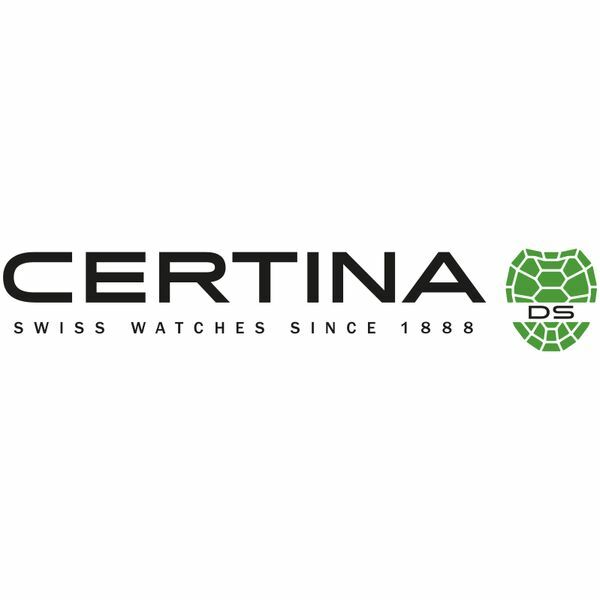 All Certina watches bear the “Swiss made” label of origin and quality, marking them as authentic examples of the art of Swiss watchmaking. The brand was established in Switzerland in 1888, and is highly dedicated to its historical and geographical roots. Besides having a strong spirit of tradition, the sport watch brand also has a keen curiosity about the art of watchmaking, and this carries it forward towards a future that it is already actively helping to shape. Certina frequently causes a stir with its technical innovations, outstanding watch movements and new functions. The brand purposefully devotes itself to the full range of disciplines in modern timekeeping: ladies’ and men's watches, quartz and mechanical models can be found in the collection, and offer huge individuality – from sporting to fashionably urban, through timeless classic to maritime. But it is thanks to the brand's commitment to sport that Certina is found so often on the world’s racing tracks and on the wrists of renowned top athletes. The Swiss sports brand has always had a close relationship with its charismatic partners and friends. After all, they understand perfectly what drives the Certina team forward: a sporting spirit always striving for greater achievements.